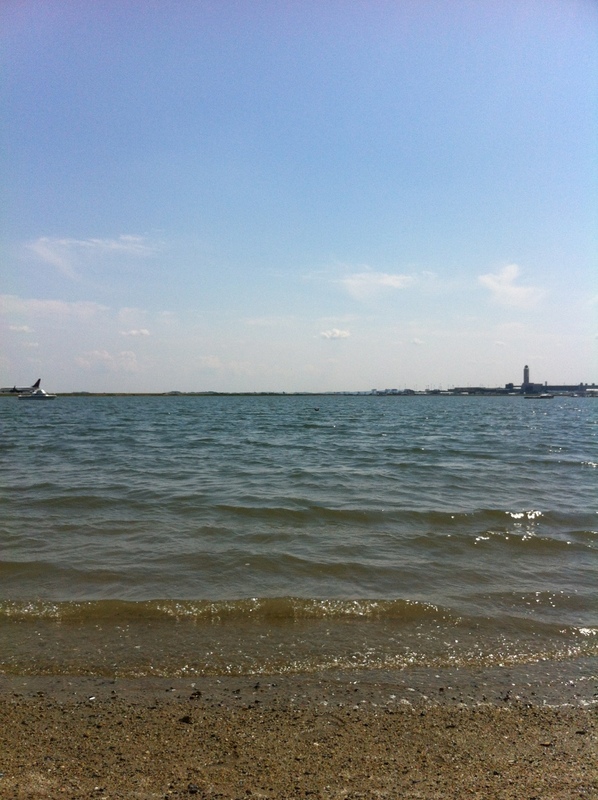 03 | August | 2012 | Plan. Shop. Eat. Live. Today is August 3. We have been home for two full weeks. I have removed grain/bread from my diet. I no longer want to sleep after a meal. Before Kripalu, I needed (not desired or wanted but needed) a coffee to wake me up in the morning. I did not function before my morning coffee. Now, I have had two small black, blonde roasted coffees in 14 days. I wake up energized and wake up BEFORE my alarm clock! No coffee needed. I have only had water. No Diet Coke at all. Also, my craving for it has disappeared. I have not eaten out once and have brought my lunch (or applicable meal) to work, play, etc. Because I’ve been able to plan out each meal, I have not had any “food emergencies” and had to grab a quick bite at a salty restaurant! I look at food differently. I am a label reader. Just because something is sold at Whole Foods, does not mean it is healthy. I’ve become more informed as a consumer and have been able to inform others. I subscribe to Food Safety News and really have started to question the way food is produced in the States. To my Diabetic friends – Before Kripalu, I am confident that I was well on my way down the Diabetes road. My extremities were often numb or tingly. I’m happy to say that all of that has subsided and I am convinced that there was a direct connection between what I was eating and how I was feeling/damaging my body. Pre-Kripalu, I almost always had indigestion. Post-Kripalu, I have had very minor bouts once or twice. Before Kripalu, I loved roasted garlic! Post-Kripalu, I now eat it (too much?) each day. Cloves and cloves of lightly sautéed garlic with Extra Virgin Olive Oil and rosemary. I leave it on my stove and snack on it. I have not lost any friends to my garlic breath. What I haven’t started to do is move more. I am parking my car far distances from my destination but this is not substantial. This week, I am going to commit to three times/week of (minimum) 30 minutes of exercise. Hold me to it! I’m not sure why I signed up for “Preventing and Reversing Heart Disease”. It was a toss between that and a trip to my beloved Rome. But, in the end, I am positive that my week at Kripalu with Doctors Lisa and John saved my life. I’d love to hear what you’ve done to change! My beach snacks pre-Kripalu (for YEARS) used to be an iced coffee with milk and Splenda and (often) a toasted bagel with cream cheese and butter (seriously?). 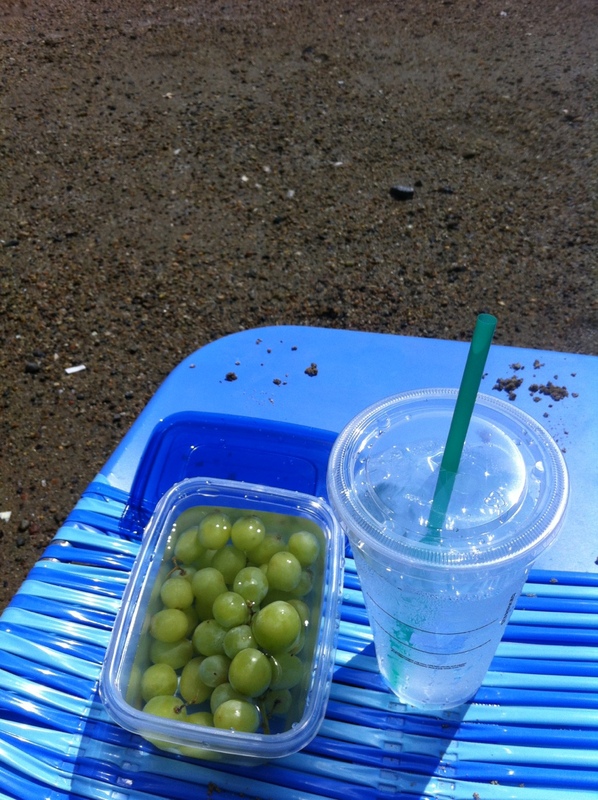 Now, I pack frozen organic green grapes and grab an ice water at Starbuck’s. The barista at Starbuck’s doesn’t mind that I’m just ordering a water because I still drop a dollar in the tip cup. So much learned at Kripalu! That program should be mandatory! The temperature is in the 90s which is just where I like it! Remember – one hour of sun, full arms, legs, and face (no sunblock) = happy Vitamin D levels.